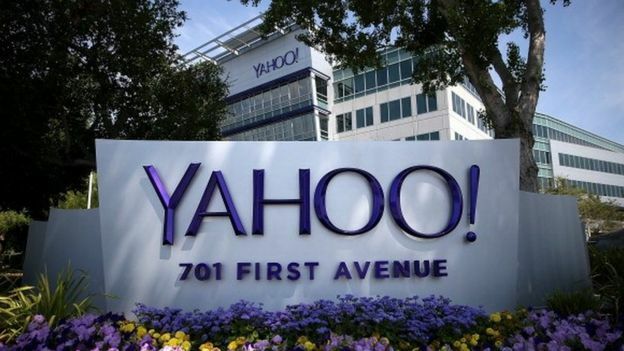 The US internet firm Yahoo has confirmed it is looking at “strategic alternatives” for its business – including splitting off its stake in Chinese online retailer Alibaba. Yahoo said it is setting up a committee to look into how the business can be reorganised to reverse its current financial woes. The firm’s share price has fallen by more than 40% since the end of 2014. 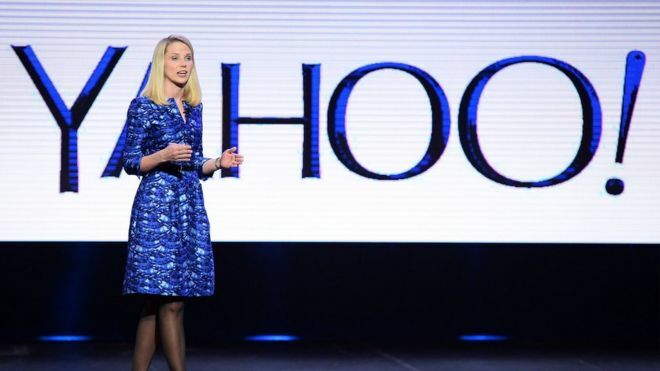 Boss Marissa Mayer has been under pressure to revitalise the business. Earlier this month Yahoo confirmed it was cutting 15% of its workforce after reporting a $4.3bn (33bn) loss for the year. The job cuts will mean the company will have around 9,000 staff by the end of 2016. Ms Mayer said: “Separating our Alibaba stake from Yahoo’s operating business is essential to maximizing value for our shareholders. Marissa Mayer is in the process of drastically slimming the company down – closing global offices and making around 15% of its entire workforce redundant. Yet despite its troubles, around a billion people still turn to Yahoo’s core services each month – 60% by using their mobile phones. And so, much like sprucing up your house before putting it on the market, Ms Mayer’s goal of late has been to cut costs to such a point that Yahoo looks like a good purchase for a bigger company looking to seize that audience. Who would be interested? Names like Disney and Verizon have been thrown around, but the sense here is that a foreign company seeking to increase its presence in the US would see Yahoo as a massive opportunity. With Yahoo looking to spin off its 15% stake in Alibaba from the rest of what Yahoo does, some think the Chinese commerce giant will want to buy that 15% back, and then perhaps the rest of Yahoo with it. One alternative is for Yahoo to be picked apart bit-by-bit. It owns services like Tumblr and Flickr, valuable web properties in their own right. Although Yahoo is still one of the best-known names on the Internet, and has around one billion users, it has fallen behind Google in Internet search. The poor performance has led some shareholders to call for the management team including Ms Mayer to be removed. Paul Kedrosky, a California based venture capitalist, says the break up of the company is inevitable and that many investors were surprised when the firm failed to say as much at its last quarterly report. He said it was unlikely that one buyer would be found for the whole business. Yahoo’s market value is currently around $28bn. In February 2008 Microsoft offered to buy the company for $44bn. In October 2011 it offered less than half that at $18bn. Both offers were turned down. Yahoo has appointed Goldman Sachs, JP Morgan and PJT partners as its financial advisers. The California tech group said it would not be making any further comment on the matter until an agreement had been reached.